Highbridge Caravan Centre Ltd is committed to ensuring that your privacy is protected. Should we ask you to provide personal information, then you can be assured that it will only be used in accordance with this privacy statement. 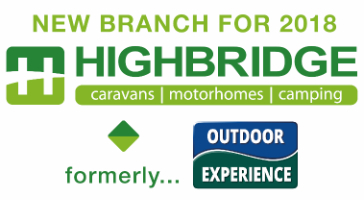 Highbridge Caravan Centre Ltd may change this policy from time to time by updating this page. This policy is effective from the date above. the General Data Protection Regulations and any subsequent legislation as appropriate. (i.e. we are responsible for, and control the processing of, your personal information). Below is some more detail for each of these categories. When you interact with our website or express an interest in or purchase products or services from us, we may collect personal information from you. which we will add to the information we already hold about you in order to help us provide products and services. We will always seek your permission to contact these people for your information. quality assurance, training, fraud prevention and compliance. We will only ask whether you would like us to send you marketing messages when you complete our online forms or during the sale of a product. In all cases we will only accept it as being consent when you tick the relevant boxes. If you have consented to receive such marketing from us, you can opt out at any time. See What rights do you have? further down for further information. our business partners in accordance with the 'Marketing and opting out' section;. integrity of any personal data that are transferred from you or to you via the internet. If you have any particular concerns about your information, please contact us (see 'How can you contact us?' below). please visit www.getsafeonline.org. Get Safe Online is supported by HM Government and leading businesses. email, call or write to us (see 'How can you contact us?' below). You can also click on the 'unsubscribe' button at the bottom of the email newsletter. It may take up to 14 days for this to take place.